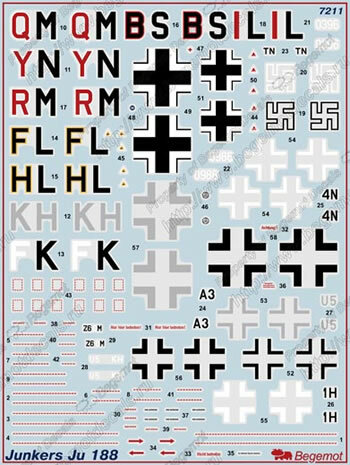 Decal with opportunity make 8 marking variations Ju-188: Ju-188A-2, Ju-188F-2, Ju-188D-2, Ju-188A, Ju-188E-1u. Full stencil data for one aircraft. Including one standard size decal sheet and two-pages instruction.